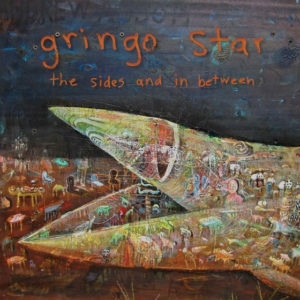 Releasing their critically acclaimed debut album All Y’all in 2008, Georgia indie rock band Gringo Star has become one of the most talked about acts in indie rock. Releasing their latest record, The Sides and In Between today, the group introduces a variety of influences such as Tame Impala and 50’s rocker Buddy Holly to create an album that will become one of your favorite records of the year. Opening with “Rotten,” Gringo Star has stayed true to their indie roots by sticking with a breezy style, writing a track that adopts similar riffs to Buddy Holly – which are simple and uniform, while keeping their audience invested in the band. “Still Alive” takes on much of the same attitude as “Rotten”, as the country inspired guitar licks become lodged in our minds immediately. Muffled vocals from front man Nicholas Furgiuele, gives the music an old fashioned feel, and by taking their sound to another era, the band has an authenticity that is rare to find. Keeping with their simplistic style, the band has included country foot stomper “Heading South” an acoustic number that encourages listeners to zero on all the different instruments and focus on its sound, while also illustrating the bands ability to tell a good story. With a rawness that cannot be pushed aside, “Heading South” is an honest and electrifying jam that fans will want to listen to time and time again. The final song on the digital edition of The Sides and In Between is “The Last Trance” a catchy track that sends off the bands fans feeling satisfied with hearing Gringo Star’s latest work, as they have put their entire heart into this record. As listeners are consistently entertained the entire way through, we hope that whatever Gringo Star releases next will top the effort that they have put into their latest LP. Listen to the track “Rotten” below.